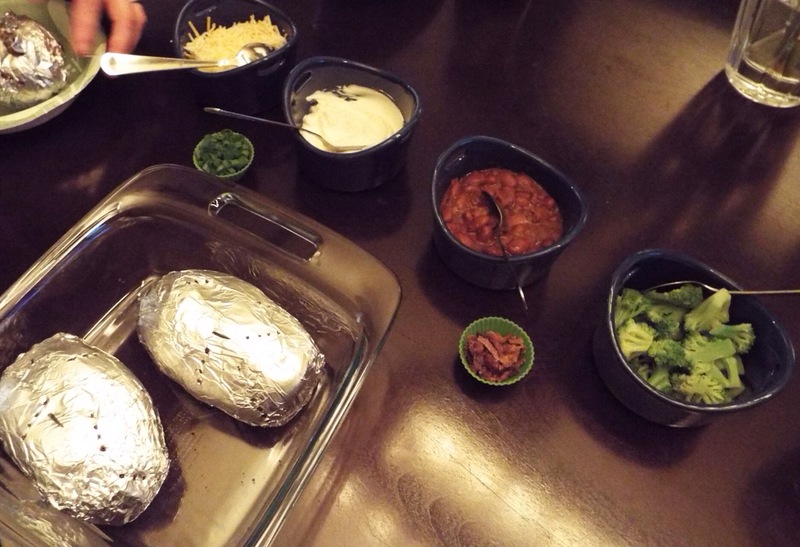 On Sunday, for the AFC & NFC championship games, we did a baked potato bar with all the fixin’s and it was awesome. Baked potatoes are so easy –we made them on the grill– and they can be customized to each guest’s taste. I love watching football and actually like to be able to sit and watch the game(s), but often I find myself in the kitchen, hanging my head in shame because I missed another big play. 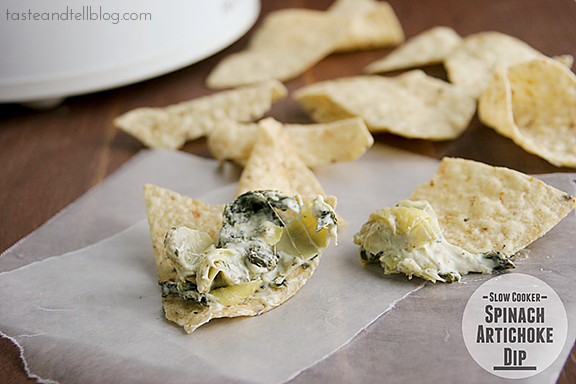 With that said, easy recipes like this crockpot spinach artichoke dip –tried this last weekend, and it was yummy– and spreads like a baked potato bar work beautifully because you provide something tasty for your guests and you get to watch the game (or chat…no judgments). There are two more weeks of football, so I say, put on your host or hostess hat and serve up these yummy options. And for those of you, sticking to your resolutions, there are healthy pairing options listed below. I personally like to take some from column A and some from column B –everything in moderation, right?– but there are great options if you’re indulging or behaving. Oh My Child!! You are making me hungry! Everything looked so yummy. I will have to try the spinach dip. Oh yea and everything else.